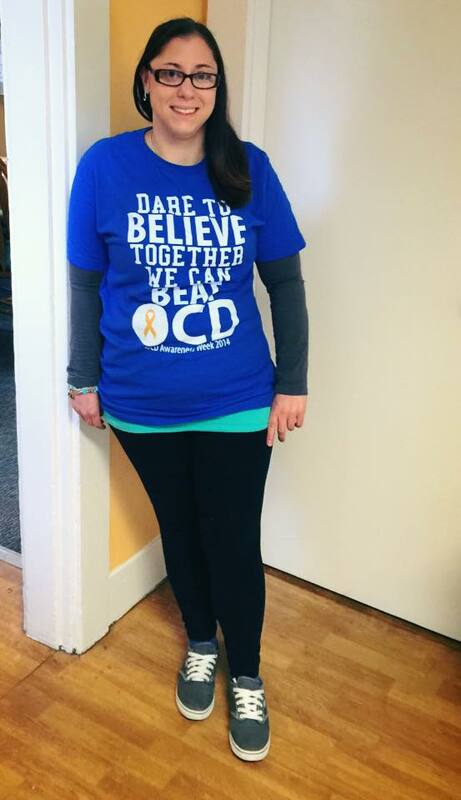 I’m so pleased to be hosting International OCD Foundation spokesperson Elizabeth McIngvale this week! 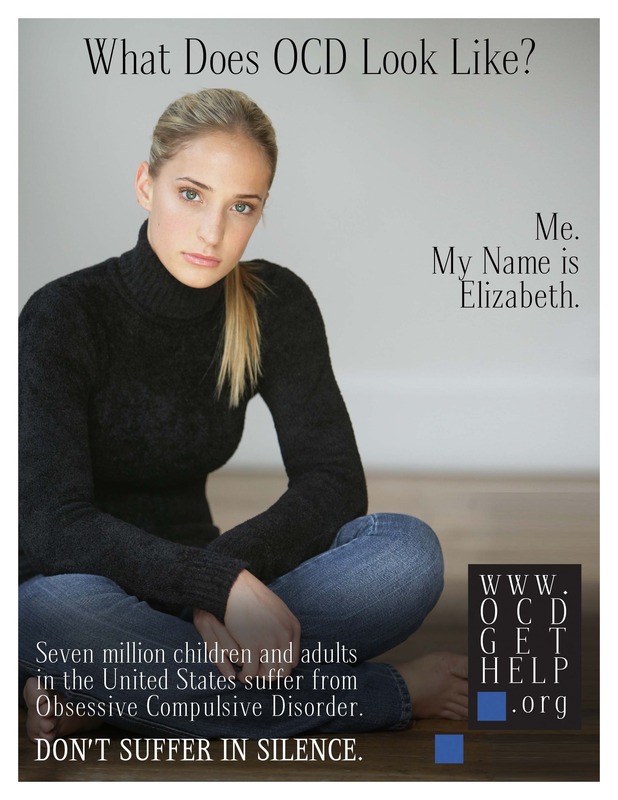 When I first started researching OCD, suspecting that I might have it myself, I was comforted to see Elizabeth’s face on the IOCDF home page. It made me realize anyone can have OCD, that it doesn’t discriminate, and that there is hope. While I didn’t identify with her symptoms—she struggled with the compulsion to wash her hands excessively, taking hours out of her day—I was glad to see a face to OCD, even just one. 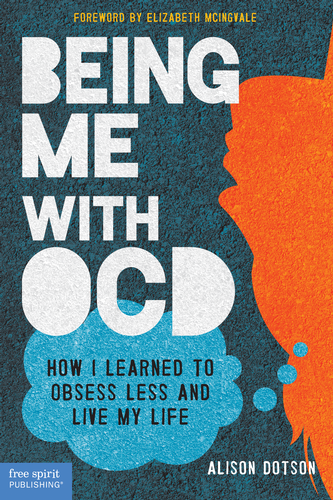 Elizabeth inspired me so much I asked her to write the foreword to my book, Being Me with OCD. (Thanks again, Elizabeth!) Her generosity and commitment to spreading awareness certainly don’t end there, but let’s start at the beginning. When you were diagnosed with OCD at age 13, the doctor told you and your parents your symptoms were too severe to be treated. That must have been devastating news. What made your parents persevere and get you the treatment you needed? It was absolutely devastating to hear and really drained us of most of our hope. However, my parents just wouldn’t take this for an answer and knew there had to be more options; they knew there had to be hope. So, they kept searching. Years went by where we went from one provider to another searching for the help that I so desperately needed. It wasn’t until my dad opened the Houston Chronicle (our local newspaper) one morning and read about the Menninger Clinic possibly coming to Houston. In that article they spoke about the OCD clinic that they had at the time. My dad immediately picked up the phone and soon I was scheduled to see a psychiatrist who was commuting back and forth between Houston and Topeka for Menninger. She saw me for a few visits and made the recommendation to my parents that I needed to be in an inpatient treatment center for my illness due to the severity. You were so young—just 15—when you checked into the Menninger Clinic. Were you scared, or was it scarier to continue living as you had been, with your life taken over by obsessions and compulsions? I have never been as scared and fear-ridden as I was on February 5, 2002. Just two days after my 15th birthday my parents and sister sat down and told me they were taking me to the Menninger Clinic (a clinic I knew a lot about). I didn’t want to go and in fact tried to flee and avoid the situation. However, my parents were prepared and had multiple plans in place in the case that I tried this. Hours later we arrived in snow-covered Topeka, Kansas. I was sick to my stomach (I vomited while there) and feared that my parents would leave me in that hospital forever. My mom promised me that I would get to come home as soon as I got better…so I thought I would never leave since I didn’t believe there was any hope for me or chance that I could learn to manage my symptoms. I had only had failed treatment prior so I didn’t know that there was effective treatment for my OCD. It was scary, lonely, and intense—but I would do it all over again 100 times if needed, for Menninger, the therapists, and the other patients forever changed my life. How did you transition from inpatient care at Menninger back into real life? How did you deal with any setbacks you may have had? The transition from Menninger back home was exciting but proved to be tough. I was so excited to go home and feel “normal” again. I could do things I hadn’t done in years—take a shower in 5 minutes, wear different color clothes, etc. However, I was 15 and didn’t realize the importance of relapse prevention and continuous therapy. I slowly declined and didn’t stay on top of my treatment. Two years later I ended up back at Menninger for a second time; this time the clinic was in Houston. It was a learning process for me and still is. The transition from residential to home is tough, especially if you don’t have your schedule lined up, your aftercare in place, and goals to keep you motivated. I have learned a lot over the years about OCD treatment. The one most important thing I have ever learned is that you have to learn to be your own therapist. You have to be able to employ the tools you have learned on your own, when you need them, and that is what helps ease transitions for me because they can be really tough—especially when you go from a team of providers to feeling alone. It’s important to know yourself and what you need, when you need it. Above all—the most important thing is your safety. If you are ever feeling so overwhelmed or alone that you are not sure you are safe (thoughts of suicide) you should call the National Suicide Prevention Lifeline at 800-273-8255, call 911, or go to your closest emergency room. How do you explain your hand-washing compulsion to people who don’t understand OCD? It’s hard to explain anything to someone when it is foreign to them. The best way I can explain my OCD is that I experience these unwanted intrusive thoughts that I would do anything to get rid of; when I engage in compulsions, whether it’s hand-washing, reassurance seeking, etc., I feel immense relief. However, that relief is only temporary and long-term it makes my OCD worse. For my hand-washing rituals I think those are the most obvious to others as people can visibly see when I wash my hands and/or when my hands are raw and chapped. There is no easy way to explain rituals, other than I know they don’t make sense and I know that I shouldn’t do them but this immense amount of anxiety leads me to engage in the rituals in order to get relief from terrible intrusive thoughts. The rituals can quickly consume your life and strip you of your happiness. They are debilitating and exhausting. Although you’ve dealt with relapses, you’ve come incredibly far since your diagnosis. Watching video footage of yourself in your worst struggles must feel like watching an entirely different person. What do you attribute your recovery to? And how do you deal with a hint of a relapse? I still live with OCD every day. Watching the videos can be eye-opening but I know that could have been me yesterday and could be me tomorrow. The most important thing for me is to live day by day and remember the tools that help keep my OCD managed. I still do rituals and certainly still live with intrusive thoughts every day of my life. However, I have learned how to best manage my OCD for me and what that looks like. I still see a therapist once a week and when my OCD is kicked up I know to step up my therapy and to proactively do the work that we know works—exposure with response prevention (ERP). You’re one of the most well-known advocates out there: Your first TV appearance was on Dr. Phil, and you’ve since been on Good Morning, America, The View, ABC News, and the VH1 OCD Project, among other national programs. Why do you think it’s so important to spread awareness of OCD? Thank you very much! To me it has always just been about making a difference and helping others. It was hard to share my story and open up my personal life to the world but I knew if it helped one person, it would all be worth it. The emails, phone calls, and messages have confirmed why I am so public about my OCD and why I do the work that I do. I think for OCD and all mental illnesses they need faces, stories, and real people sharing their real experiences. This is the only way anyone will really care, listen, and understand. The more of us who are willing to be open about our OCD and/or our mental illness the more we will wipe away the stigma that too often surrounds mental health issues. You were the first national spokesperson for the International OCD Foundation, and you were only 17. How did that come about? I had begun speaking about my OCD on local and national shows and they asked if I would be willing to be their national spokesperson and put a face to the illness. 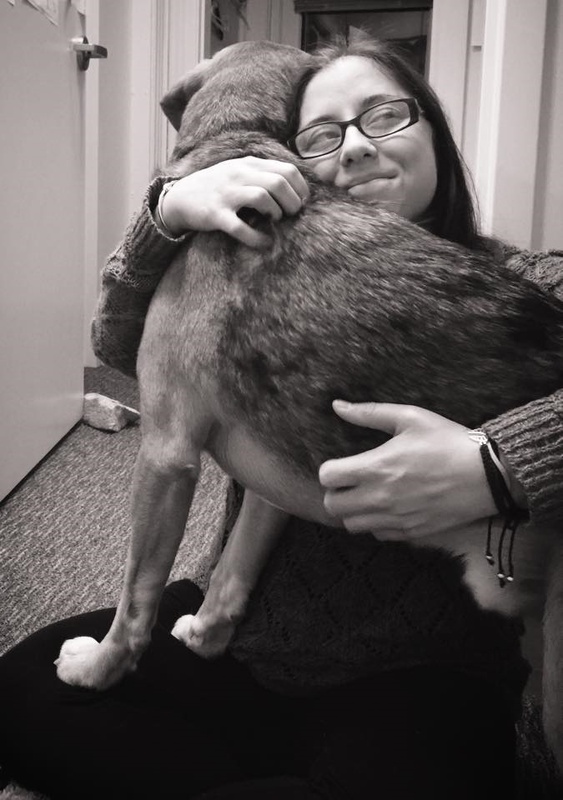 This opportunity changed my life, career, and perspective on mental illness, OCD, and stigma. What advice do you have for someone struggling with how to “come out” as having OCD, especially teenagers? I think first and foremost it’s important to read about the illness and understand what OCD is and what the proper treatments are for OCD. Understanding these things first will help you be able to better explain the diagnosis and treatment available. I think you should always start with family/loved ones as they are often closest to you and already may recognize/know that something is going on. I would explain what you have been going through and give them some specific examples. I would also bring information with you and direct them to the International OCD Foundation website and affiliates so that they can learn more about the illness. I think we often assume that when we tell people there is going to be a negative reaction, but what I have found and what I often hear is that the reaction isn’t as bad as we anticipated and often we are offered empathy and support from people who care about us. Tell us more about the Peace of Mind Foundation. The Peace of Mind Foundation is a non-profit foundation that is dedicated to improving the quality of life of OCD sufferers and caregivers through research, education, advocacy, and support. We are a 501c(3) non-profit that works to enhance the lives of those impacted by both OCD and mental illness. We work to provide training and education for OCD to local organizations, schools, and all those interested. We engage in advocacy on the local, state, national, and international level through outreach events, speeches, and PR. We offer scholarships to the International OCD Foundation conference. And lastly, we run and operate the OCD Challenge website, which is a free self-help website designed for those living with OCD. The website is accessible anywhere in the world with an Internet connection and will be live in eight different languages by the end of the year. The website offers interactive videos and the content is based on the principles of ERP for OCD in order to guide individuals through education, intervention, and relapse prevention for their OCD. You’re now a licensed therapist treating OCD. How does your own experience inform how you treat patients with OCD? I think it gives me insight to understand the true severity of the illness and some of the complex issues that arise when you live with a mental illness. It does not make me any better qualified; OCD training is very specific and there are wonderful OCD therapists who do not live with the illness but are just as qualified, if not more qualified, to treat OCD than I am (my own therapists, for example). However, I think there is a connection and understanding that is deeper than knowledge—it’s about a lived experience we both share. You are not alone, you don’t have to suffer in silence, and help is available. With the appropriate treatment (ERP or ERP and medication) you can gain control of your OCD and learn to manage your illness. Treatment is number one always, but the second thing I recommend is to meet someone else who lives with OCD. You can do this through the International OCD Foundation’s conference, support groups, or online groups. Understanding that there is help available and that you aren’t alone are in my opinion the two most important things to help you gain control of your OCD. Lastly, I would recommend giving back when and if you are ready. I have found some of my greatest healing has come from sharing my story and helping others in need with OCD or a mental illness.